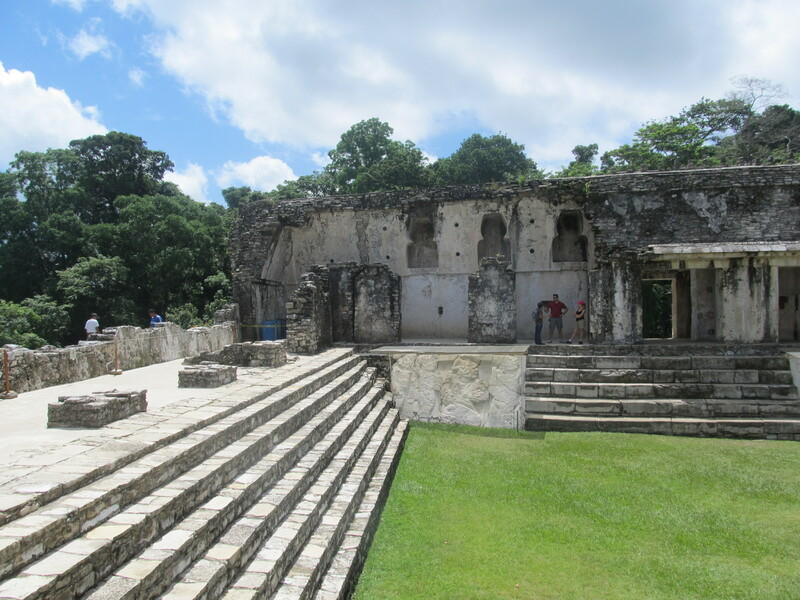 Drugs and the Dead: A Visit to Palenque. The archaeological site of Palenque lies in the jungles of Chiapas like a well baked hippy, the tree vines and leaves stick to the face of the ruins like untamed and smelly dreadlocks and the humidity instantly knocks you into a trance. We had met a man in the colonial town of San Cristobal de las Casas a few nights before and he had explained to us the benefits of taking magic mushrooms in order to experience the ruins of Palenque on a higher level. He was an American nearing his fifties and had lived and worked in Mexico for some time. He moved slowly to collect our empty bottles of Victoria as he sighed and rubbed his hand over his belly; he was wearing a crazy colourful shirt and a beaded necklace. He lifted his head back and widened his eyes; “my god, it’s amazing, the jaguars just come out of the walls and the colours are just magnificent; the entire jungle and the ruins just come alive!”. His enthusiasm for narcotics continued as he told us where we could obtain some mushrooms or ‘hongos’ as they call them here. Throwing his hand out in front of him, he explained that upon entering the gates of Palenque we must walk one hundred metres past the first street vendor and on the left there will be a bush and after this bush we turn left and walk into the jungle, far enough so that no-one can see us and this is where we will hear the calls of a small Mexican man shouting ‘HONGOS!’. We arrived at the gates of Palenque a few days later and didn’t see any bushes. In fact, all we saw was the massive sprawl of jungle and around fifty street vendors all selling the same souvenirs. With or without the help of narcotics there is an undeniable sense of magic and surrealism at Palenque. My guide book had told me that this ancient city was first inhabited around 100BC, and that it was most affluent under the Great Ruler Pakal and that in hieroglyphics he is represented by the sun and the shield. But I wasn’t interested in that. I remembered reading somewhere that he had lived to about 80 years old and that was what had grabbed me by the throat. Pakal wasn’t just a historical celebrity skeleton that I couldn’t relate to anymore, he had become human. Standing at the top of the Temple of Inscriptions, where Pakals tomb was found in 1952, I began to ask a million questions. 21 Questions is a song by 50 Cent. It’s also a game played by strangers whereby both parties ask pointless and weird things with the hope that by the end of the game they know at least 21 things about one other. So I decided to play it with Pakal at the top of his tomb. The biggest stranger that I could have played it with. 1. What was your favourite colour? 2. How often did you go to the toilet? 3. Have you ever fallen in love with someone you shouldn’t have? 4. Did you first learn to walk on that pyramid over there? 5. If you had Facebook, what would your profile picture be? 6. 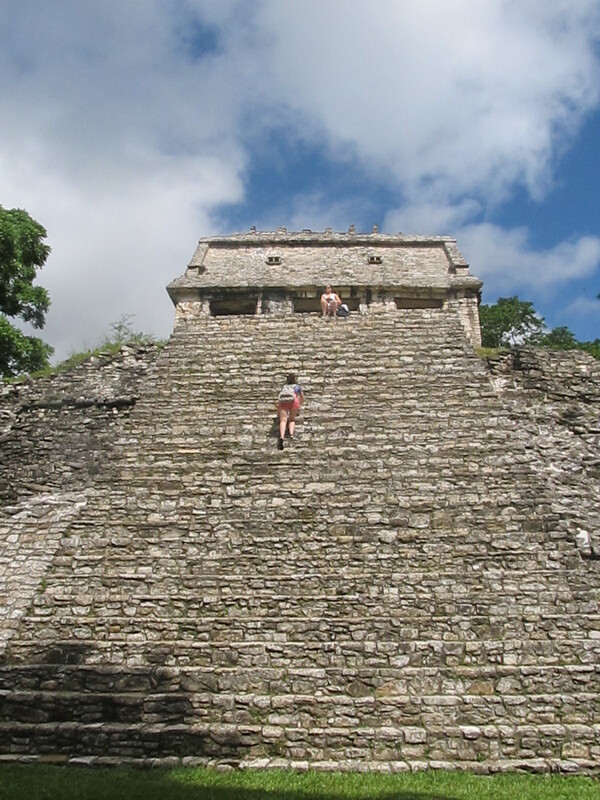 Did you ever climb the trees and look down over Palenque when you felt sad or overwhelmed? 7. Did you have crooked teeth? 9. Did you know any good jokes? 10. Did you bite your nails and spit them on the floor instead of putting them in the bin? 11. Were you good sport? 12. Did you have banter with the slaves? 13. Did you ever dress up as a priest and go under cover in your city to try and gain an understanding of your people Measure for Measure style? 14. What colour were your eyes? 15. If you were stranded on a desert island, which one of your wives would you prefer to be stranded with? 17. What was your nickname? 18. Did you secretly hate maize? 19. Did you have any addictions? 20. Did you ever get so drunk you woke up without any pants on with a Howler Monkey chained to your bed? 21. Did your mum ever tell you that you were showing off in front of your kingdom when they came round for tea? Is This Spicy? Things That Are Good To Know Beforehand.